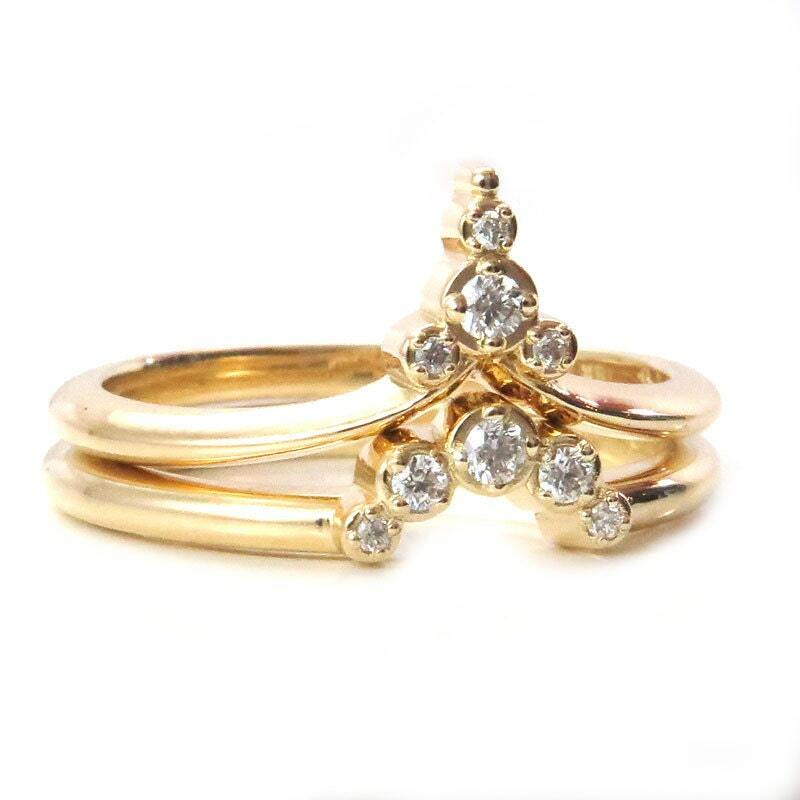 Lately I have been really into dainty stacking diamond rings, rings that can stand alone but also worked into cool pairs and stacks. 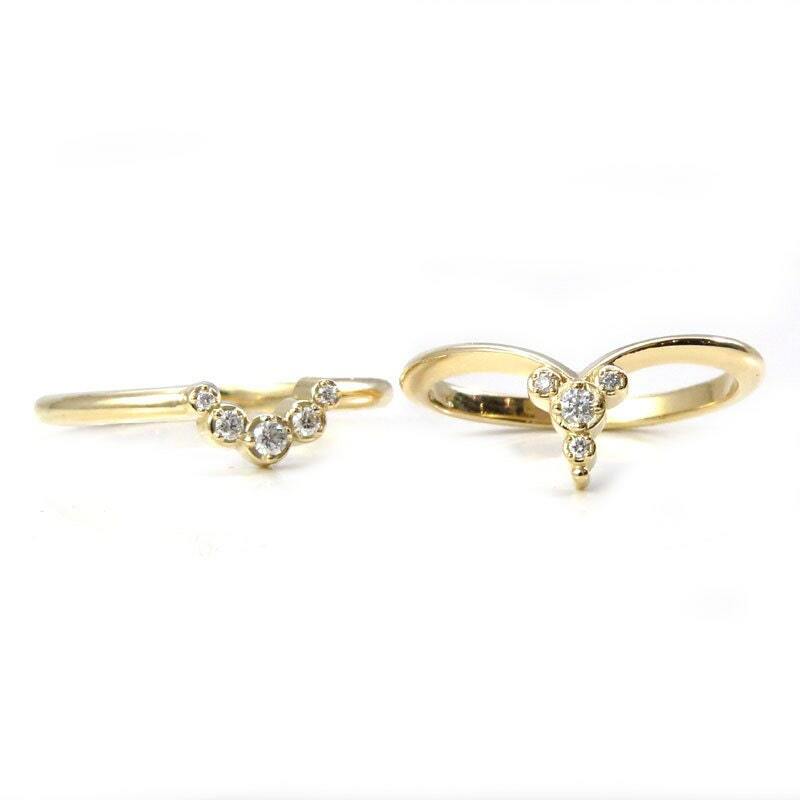 The top ring shown here has 4 diamonds, they are all VS clarity and G-H in color, they have a combined weight of .05 carats. 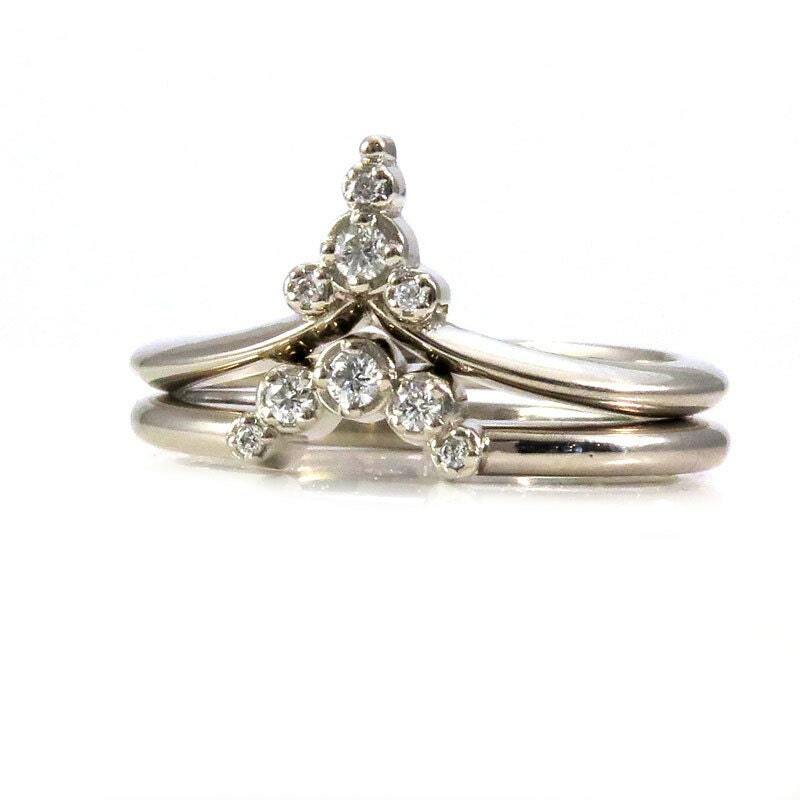 The bottom ring has a crescent moon shape created with graduated diamonds, that ring has a total carat weight of .08 carats, they are also VS clarity and G-H in color. 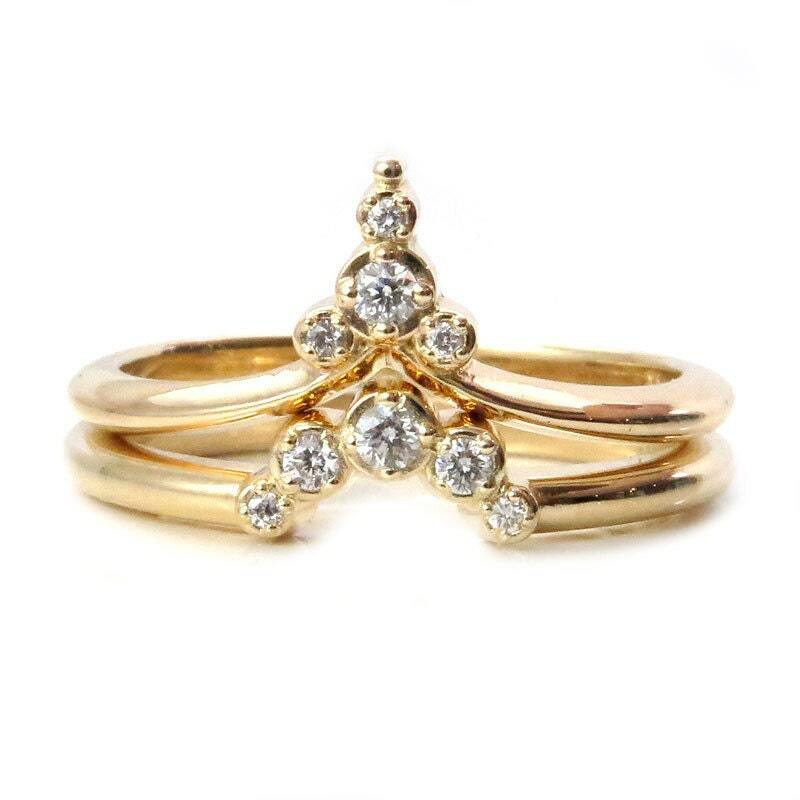 The set can be made in 14k yellow, rose or white gold as well as 18k yellow and 18k rose. 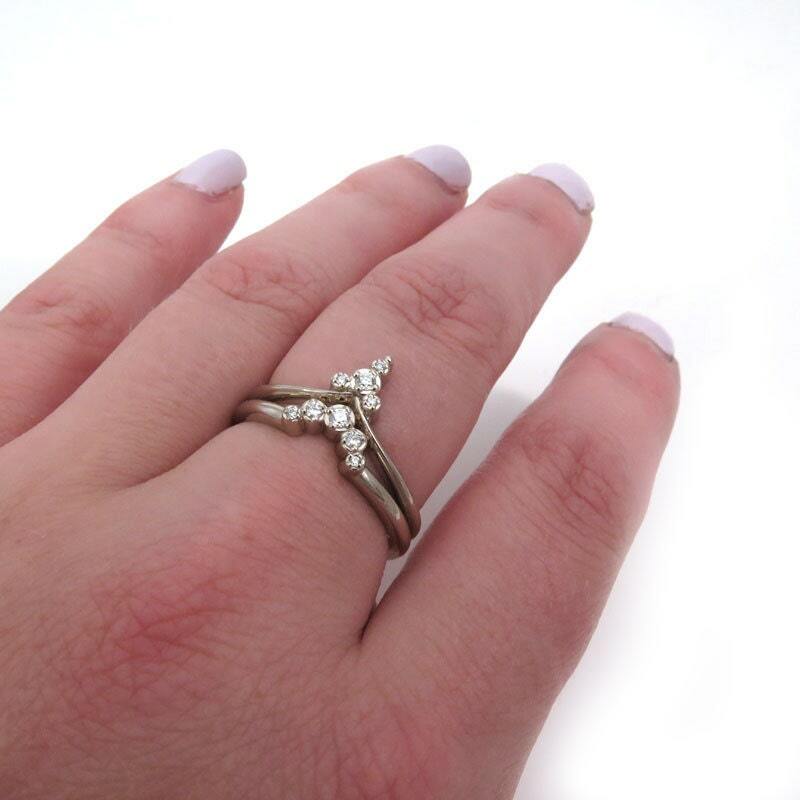 Your rings will be made to order in your ring size and metal choice, our turn around time is 4 weeks. When stacked the rings are 9mm's at the widest point at the top and the bands are 2mm's wide.